The GuildMag Podcast is back this week after a short break! Sandra (a.k.a Miko), our content manager, and Anthony, one of our designers, joined Valiant to discuss this week’s hot Guild Wars 2 news: guild halls details and the Heart of Thorns pre-purchase details (and controversy! ), the latest Gem Store news and more! The Gem Store has a few new mail carriers available – the Seed Pod carrier and the Revenant carrier. Dwayna’s Regalia outfit is also available – a nice throwback to the Guild Wars: Nightfall dervish Avatar of Dwayna. The Scientific weapon skins are also available for one Black Lion Ticket – they drip acid and the bows look cool. and a combat arena – a custom PvP sandbox that can be used for guild duels, GvG matches your guild organizes, spectators, and more! Guild currency is changing from influence to favor, aetherium, and crafting materials for specific upgrades. The main currency will be favor earned by completing Guild Missions. The gating before opening missions is being removed to make earning favor more accessible. Guild halls and some of the upgrades including the tavern, workshop, and combat arena were shown on Episode 23 of Points of Interest. 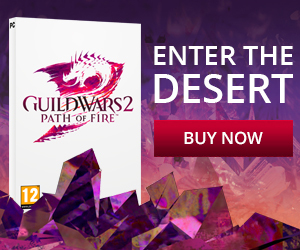 Colin also announced that Heart of Thorns is now available for pre-purchase. This, however, has polarized the community because of what the standard option offers for the price and the fact that the standard option does not include a character slot. 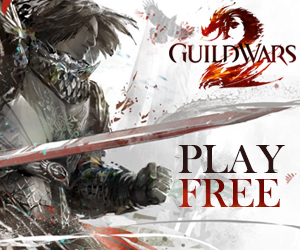 The Guild Wars 2 subreddit and official forums exploded with players expressing their anger and disappointment and players have taken to sharing their thoughts on YouTube and blogs (like GuildMag’s own Kent did) to share why they’re waiting before pre-puchasing or why they’ve already opted in. Next: The GuildMag Podcast: Episode 29 – Where are our raids? ?